A trip to Astley Green on Saturday 24th November, fortunately a nice day. Astley Green is a village near Leigh just off the A580, a major road. The mine was closed in 1970 after some 60 years of work. The whole area was full of mines and the tunnels of this mine spread around 3 miles east at a depth of a mile. There’s still plenty of coal down there. 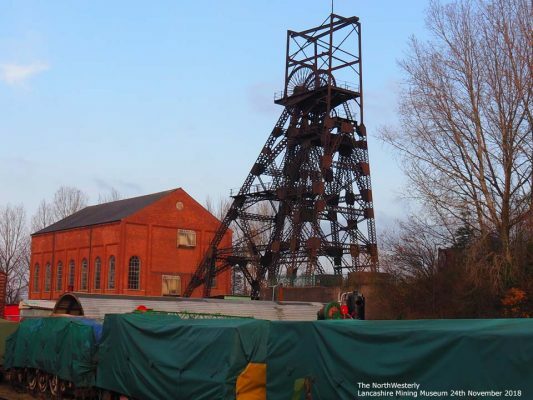 The Mining Museum has been around a long time and the greatest feature is the Mine Head Gear, closely followed by the winding machine which has been carefully restored. On arrival we were greeted by Marilyn who enthusiastically told us about the mine and then brought in Alan who did a guided tour. 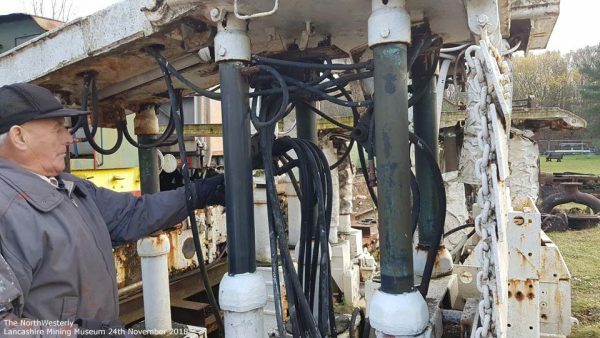 Alan showed us the mining equipment scattered around the site. The mine walls were held up by metal tunnel structures and the trains that carried coal and miners to and from the pithead were there, as well as cutting machinery. The pithead structure needs around half a million to restore it and it certainly is impressive. 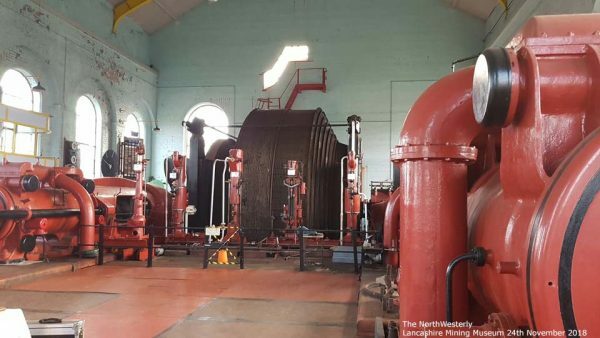 Next to that is the winding machine that pulled the lifts at up to 60mph, 20mph if with men, which has been magnificently restored. 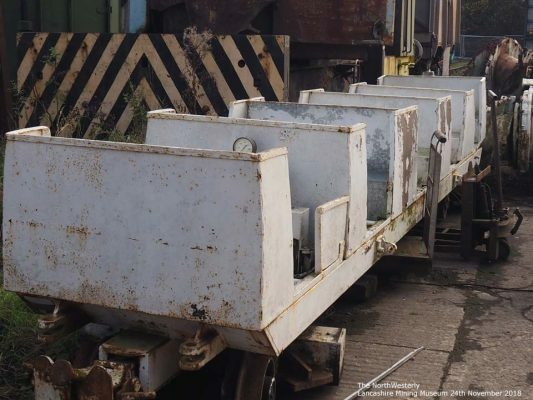 At the moment work is proceeding on getting the shunting trains going on a track around the site. There is a dining room and a re-created mining family home and various mining items to see as well. A tea or coffee was offered at the pop up cafe. 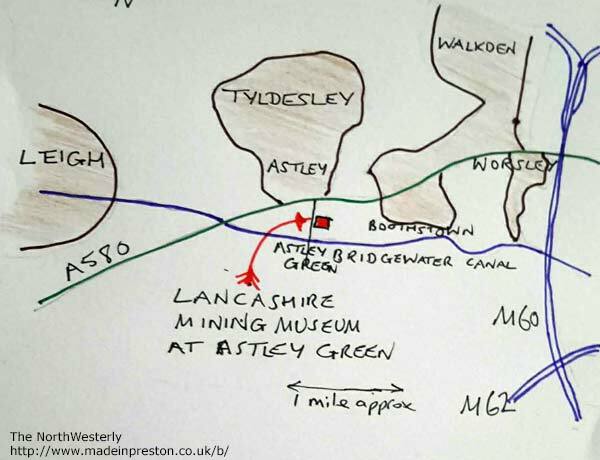 This entry was posted in Heritage, Industrial, Travel and tagged Astley Green, Lancashire Mining Museum. Bookmark the permalink.